Check out Wendy’s new quarter-pound* Double Stack™ option in the 4 for $4**, it’s a deal so good, it’s almost impossible to believe. Trying to figure out where to head for spring break this year? Sure, Amsterdam and Rome are the obvious choices, but why don’t you connect with your roots and go off the beaten path with some of the quirky, weird, breathtaking, and even creepy places that Latin America has to offer? Reaching out from the caked, dry ground of the Atacama desert in Chile is this sculpture built by Chilean sculptor Mario Irarrázabal in the 1980s. You can reach this jaw-dropping work of art by traveling down the solitary, winding highway south of the town of Antofagasta. The name isn’t meant to fool anyone. The site is said to have been used for indigenous sacrifices and was named “The Devil’s Door” by Spanish Catholics in colonial times who opposed the practice. Now hikers who brave its ledge can see sights including the Pacific Ocean, Lake Ilopango and of course a breathtaking sunset if you go before dusk. Just make sure to bring legit hiking boots for the trek! After wading through the canals of Xochimilco (a bucket list experience in itself! ), you can step onto this eerie island filled with the heads, limbs and more of plastic dolls. The chilling origin of the dolls comes from a recluse named Julian Santana Barrera who retreated to the island and hung dolls around the island to honor a young girl that had passed in the area. Now his family runs the island as a tourist attraction, but if you dare to go, get ready to hear some of these dolls whisper in the wind, as legend has it. 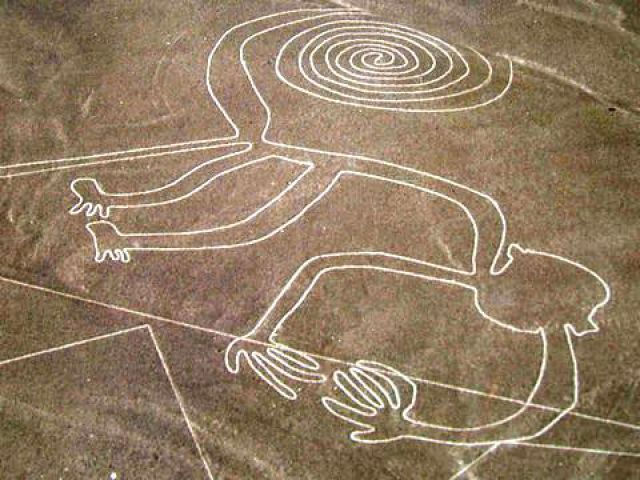 No one really knows how the ancient people of Nazca, a small town in the Southern coast of Peru, created these mysterious precise lines that run for hundreds of kilometers. But an aerial view over this place shows you representations of different animals and geometric patterns. Could aliens have been involved? That’s what some supernatural investigators like to believe. This UNESCO World Heritage site is slowly growing in its size, but don’t worry about falling through the wave-like blue and white surface of this glacier as it can safely be seen by a viewing platform. If you’re going to rack up your hotel bill once in your life, might as well do it here. As one Instagram user said, this is where magic lives. We couldn’t agree more. This sustainable wooden hotel and spa was inspired by the ethereal book, “The Little Prince,” and is a short drive from a ski resort. The hotel’s surrounding areas include many nature walks on the biological reserve that serve as it’s home base. Volcanoes look graciously over the crystal blue waters of Lago de Lake Atitlán in the Guatemala Highlands. Enjoy and take in all of the breathtaking scenery in what translates to “at the water” in Nahuatl. It’s hard to believe that these places would ever be real, just like Wendy’s adding the Double Stack™ as an option in the 4 for $4** for a limited time. With over a quarter-pound* of beef, that’s a deal so good, it’s pretty hard to believe. *Approx. weight before cooking. **Meal includes 4-piece nuggets, small fry, and a small drink. At participating Wendy’s for a limited time. Offer not valid in Alaska or Hawaii.